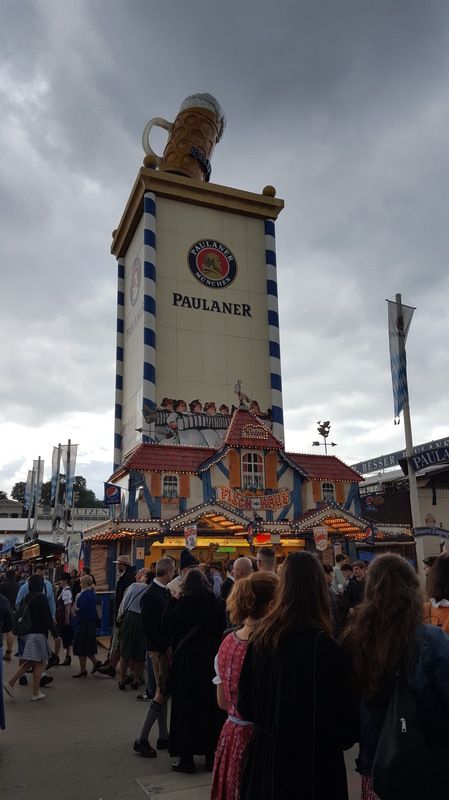 The first thing that comes to my mind when Munich is mentioned – Oktoberfest. We met friendly folks dressed in traditional Bauern clothing the very second we stepped into metro. Beer was shared, women were dressed to perfection and everyone was having fun. Except us as we were struggling to move our luggage to our hotel. Fun had to wait a bit longer. I have to rant a bit about showers in german hotels – do they plan them for goblins or humans? Once again the struggle was real as I did not fit to squeeze into the shower and even my friend lost his mind trying to turn in the damn thing. Small showers seem to be a thing in Germany. Please do correct me if I’m wrong. Everybody having fun. Lederhosen shorts are cool. Change of clothes and we were off to Oktoberfest. Security was tough as anyone would expect these days. Bags were not allowed and everyone had to open their jackets before entering. 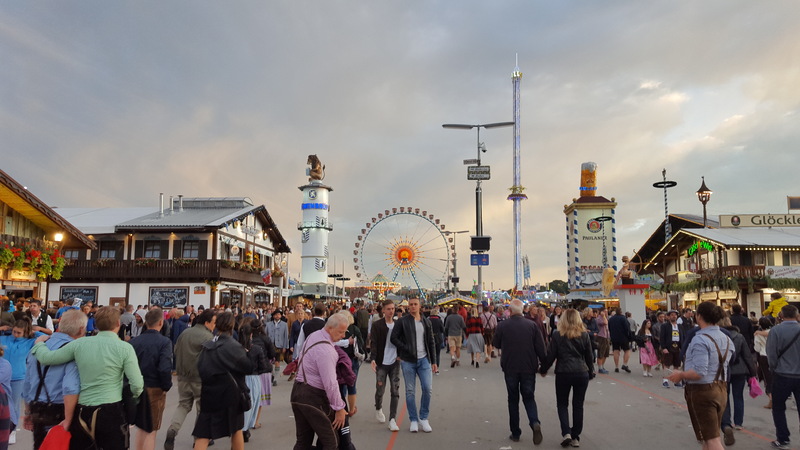 Then we were met with amusement park rides and small shops offering all kinds of snacks, drinks, grill food and of course beer. The biggest breweries had their own houses where you could reserve tables. As we came late the most places where packed full. Luckily we found a empty table from outside and sat down. Drink maidens came to take orders and we were set. 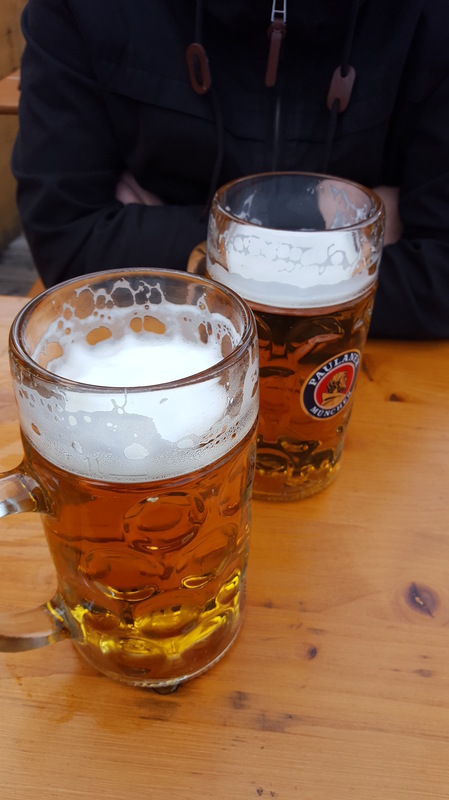 At first we were surprised that the beer cost 10,90 per pint but then we realized it was a 1 litre (0.26 gallons) pint. I can safely say you don’t have to order many times to get drunk. For us two per person was enough! This is what 1 litre of beer looks like. 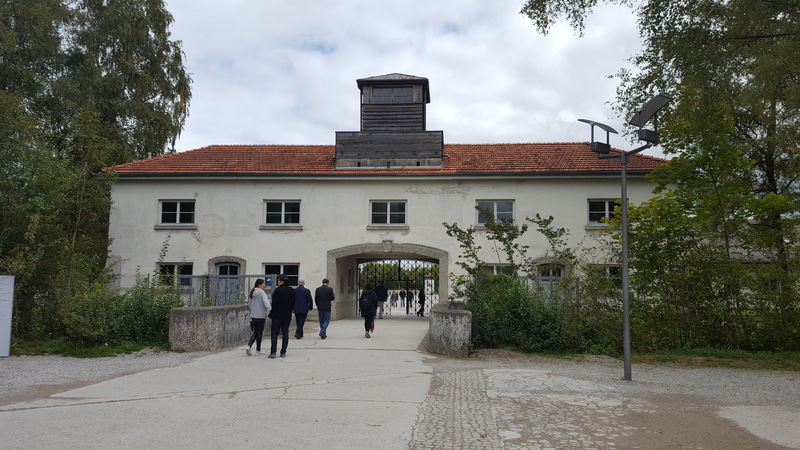 To counter the fun we had, we went to the Dachau concentration camp memorial next day to respect the dead and those who had to endure horrific acts under Nazi rule. We spent a lenghty three hours there and afterwards I felt really sad. So many souls lost for one bitter mans idealogy. Many entered through this gate and never returned. 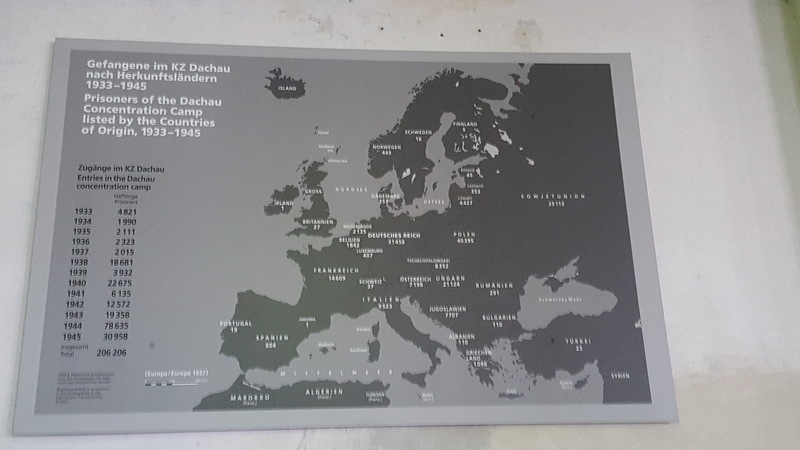 The Dachau concentration camp held estimately 206 000 “persons of interest” that were sent to concentration camp as “precaution”. One thing that separates Dachau from other concentration camps was the fact that the gas room was built but not used for total extermination. Victims lost their lifes due to fatigue from work, hunger and diseases. Map showing prisoner numbers by country. After Hitlers power started to fade by the invading allied countries, the US army arrived to Dachau and liberated the camp from the german eliye SS soldiers. Thus ending the torture of thousands of innocent lifes. After the surrender of Germany in 1945 many high profile SS-commanders and soldiers were put on trial in Nürnberg for their war crimes. 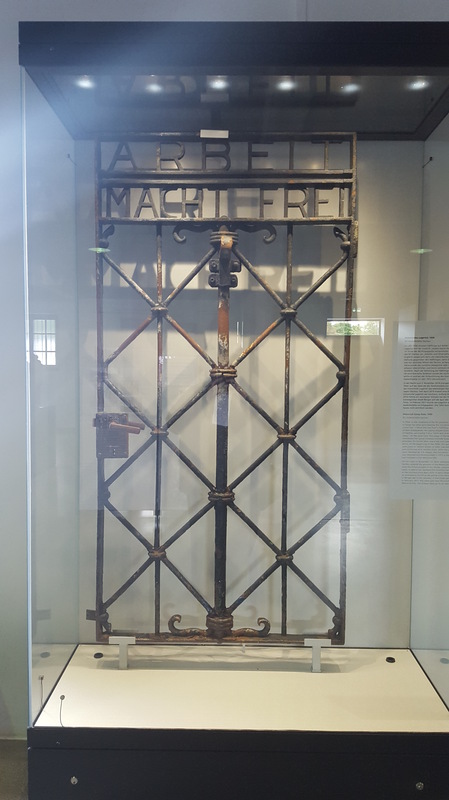 Original gate door. Work makes you free. Not. At. All. Hence the next destination for us will be the city of Nürnberg. The main location for the Nazi party and the Nazi Nurenberg rally parties held annually before the dawn of World War II. I wonder how the city is nowadays, living with the shadows of the dark past? Report coming soon! Good night!